So, if I understand Randal Rauser correctly, God doesn't enjoy complete, sovereign control over his creation. He must simply work with the hand he's been dealt. I don't see any other interpretation. Yet another anti-Calvinist "sermon." It seems the trick to defeating Calvinism is denying the doctrine of original sin. Lutheranism is application; Calvinism seeks to understand. ...at least when it comes to other people's theology. A tale of two Calvinists (part 1, part 2). I've posted about this before, but I don't think I can promote it too much. My wife continues to make me proud. Astrophysicist Neil deGrasse Tyson, like most agnostic/atheistic scientists, sees no meaning in the universe. Sure, he's fascinated by it, but in the end everything is just a random collection of atoms and energy with no purpose whatsoever. However, while you watch the following video, pay close attention. He ends up making the perfect case against theistic evolution, pointing out that earth's evolutionary history is marked by death and destruction. That certainly isn't something a loving Creator would consider "good," is it? Take away the laughing audience and polish up the language a bit, and I think there's a sermon in there somewhere. 1 Corinthians 13:11 comes to mind. This Week in Calvinism wouldn't be the same without Roger Olson. 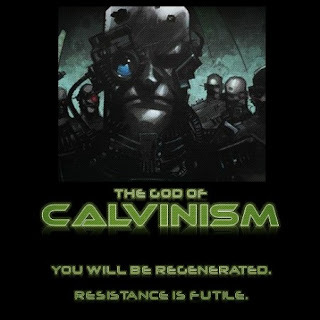 This time, he uses an unrealistic movie reference to show what's wrong with Calvinism. Is Calvinism a religion of death? Some anti-Calvinists think so. Jim Ollis of Calvary Memorial Church teaches on the "perverted gospel" of Calvinism. What's interesting is that there is a page on the church's web site featuring a daily devotional teaching from Calvinist Charles Spurgeon. Go figure. Could Beijing one day become a new Geneva? We must have help to see right, and our physical bodies reflect that fact. Only in Jesus, the paragon of creaturely appreciation, are we able to become the kind of persistently thankful people God created us to be and fulfill the human destiny of thanksgiving. For the Christian, with both feet standing firmly in the good news of Jesus, there are possibilities for a true thanksgiving which we otherwise would never know. May we all know what it means to be truly thankful. Open theism is, in my opinion, although mistaken, closer to the true heart of Arminianism than is Molinism (insofar as it uses middle knowledge to reconcile divine determinism with free will). It ought to be considered a variety of Arminianism just as, say, supralapsarianism is considered a legitimate variety of Calvinism. 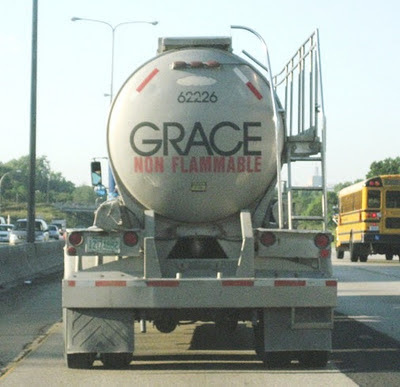 ... Arminianism is a big tent and a centered set. Open theism is under it and in it. It's time all Arminians simply acknowledged that and quite trying to exclude open theists. Wes Vander Lugt reviews the book Evangelical Calvinism: Essays Resourcing the Continuing Reformation of the Church. Caleb Friedeman lists eight things he and his fellow Wesleyans can learn from New Calvinists. According to Randal Rauser, Calvinists cannot hope in the salvation of their children, especially "when evidence is currently lacking that they are of the elect." So...it's possible for people in their unregenerate state to exhibit evidence that they are elect? James White and TurretinFan discuss former PCA minister Jason Stellman's conversion to and defense of Catholicism. There are a few things Matt Dabbs doesn't get about Calvinists. Roger Olson is kind enough to share his list of "approved" (i.e. Arminian-friendly) denominations. The SBC's advisory team on the issue of Calvinism has met for the second time. They must be making progress, right? Paul Dohse has learned a lot about Reformed theology in the last five years, so believe him when he warns that "New Calvinism is headed towards a marriage with the government." 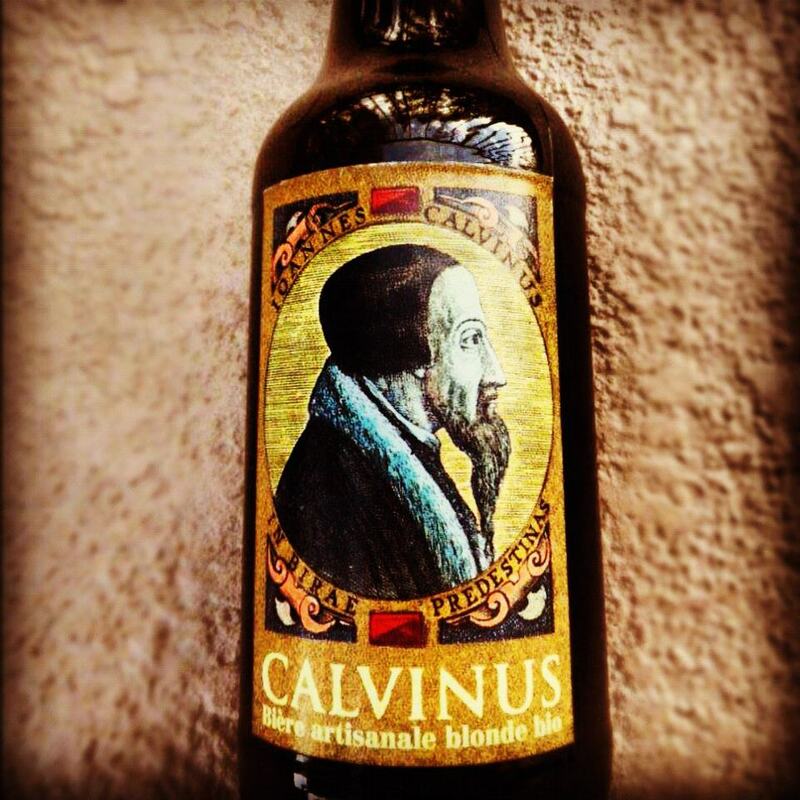 Calvinus, of course. But you'd have to travel to Geneva to get it. I have been writing, editing, and re-editing this post for about a month. I wanted to describe in detail all the reasons why I couldn't bring myself to choose between the "lesser" of two evils tomorrow, but I have decided to keep it short and not-so-sweet. I cannot, in good conscience, support any presidential candidate who adheres to the doctrine of preemptive war. I refuse to give my consent to a man who claims to be pro-life on the issue of abortion, yet will not hesitate to order the slaughter of men, women, and children in foreign countries without so much as a declaration of war from Congress as mandated by the Constitution. Being an authority instituted by God (Romans 13:1) does not give one a license to murder. I cannot, in good conscience, support any presidential candidate who has praised the policy of indefinite detention and assassination of American citizens. Sorry, but if we throw out due process and grant the president the ability to unilaterally decide who lives and who dies, then we are no longer a free country. In the end, I think it is up to the conscience of each informed and prayerful believer to decide how, or if, he or she should vote. After all, our primary concern is spreading the gospel, which is what we are called to do no matter what kind of government presumes to assert control over our lives. I realize, of course, that while we are not of the world, there is no escaping the fact that we are in the world until Christ returns (John 15:19). Yet scripture also says, "Do not be conformed to this world, but be transformed by the renewal of your mind, that by testing you may discern what is the will of God, what is good and acceptable and perfect" (Romans 12:2). How does that apply to voting? If whatever we do is to be done to the glory of God (1 Corinthians 10:31), then we should not look upon the act of voting as the world does. We citizens of the Celestial Kingdom must consider the moral implications of voting beyond the immediate, pragmatic results. Keep in mind what happened 12 years ago when conservative Christian voters thought their prayers were answered with the election of George W. Bush. He launched two wars to set up two new fundamentalist Islamic regimes in the Middle East. He buried us under massive debt, oversaw a failing economy, and ushered in a burgeoning police state. I shudder to think what might happen if Christians didn't spend time in prayerful consideration before heading to the polls. I have long held to the notion that voting is not simply a bet on who will win but a reflection of one's principles. With that in mind, I have come to the conclusion that neither Barack Obama nor Mitt Romney will get my vote. Robin Schumacher explains why limited atonement is easy to believe. Apparently, believing that God has an ordained purpose for evil makes God a providential predator. Calvinists get the blame for just about everything that's wrong in the world, so we might as well blame them for racism, too. In celebration of Reformation Day (yesterday), Crossway is offering a free ebook copy of The Joy of Calvinism. Get your copy here while you can. Pastor Jim McClarty answers questions on sovereignty, puppetry, and free will.